India registered second successive win in the ongoing Asia Cup by beating Pakistan by 5 wickets. It was a world class display of bowling and fielding by the Indian team as they got the Pakistanis dismissed for just 83 runs. The Indians were red hot from the word go and they just didn’t give the opposition any sniff on the field. It was thoroughly professional from them. Pakistanis, on the other hand, were pretty school-boyish in their approach. There were a couple of run outs for them and on both the occasions, the running was pretty senseless. Especially, the second one which was of their skipper Shahid Afridi, it was a total error in judgement. The back foot punch on the leg side by Afridi was going towards Ravindra Jadeja, the fastest fielder in the world at the moment. If Mohammad Shami gets fit and is available to be picked in the playing XI, it would create a bit of a dilemma for the skipper MS Dhoni. 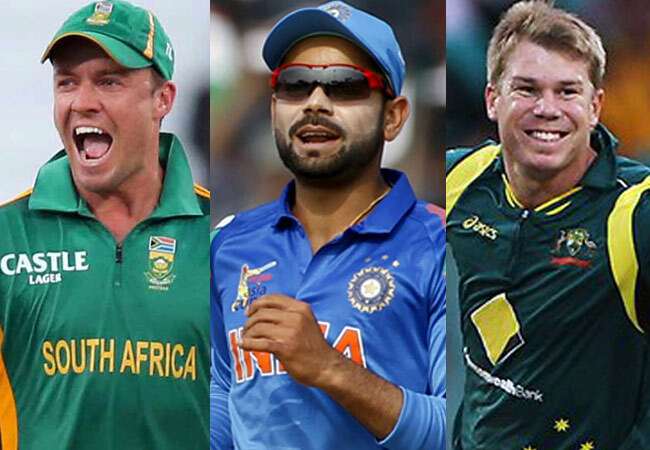 The current first choice fast bowlers i.e. Nehra and Bumrah, they are going superbly and are executing each and every plan of the team management. They have done so at least in the two series that they have played together as a pair so far. If they keep the same sort of form in the Asia Cup and then, Shami proves his fitness as well and is back in the mix, MS Dhoni would be scratching his head whom to leave out of the three when the World Twenty 20 Championship comes along. As far as Shami is concerned, he is someone whom Dhoni has always put his faith in and to his credit, the West Bengal quick has never really disappointed the captain especially in white ball Cricket. In the One Day International World Cup, Shami was instrumental in helping India march to the semis. So, in normal circumstances, one would believe that once he is available, he walks straight into the XI, but, at the moment, it would be very, very unfair to drop either of Nehra or Bumrah. And, of course in the World Championship games, you can’t go with more than two fast bowlers as they would be played in Indian conditions. Mitchell Johnson would have realized on the first day of the ongoing Ashes series itself that how far and long this England tour was going to be for him. On a slower one in Cardiff, he kept trying all day long to bring that intimidating factor back into play, but, he completely failed in sending any shivers down the spine of the English. He actually proved to be the weak link in Australia’s bowling. His short pitched deliveries presented boundary scoring opportunities which the batsmen latched on. There was just no pace on the pitch and there is very possibility that in the coming test matches too, England would be producing same kind of surfaces to nullify Johnson. As early as Johnson understands that he needs to focus more on pitching the ball full and shaping it away from the left handers, it’s better for him. Going around the wicket and banging the ball half way down is not going to do the job in English conditions. Johnson can actually take a leaf out of the book of his team mate Mitchell Starc. He is of the same pace as Johnson, but, he understands the value of swinging the ball when playing in UK. And, he got three wickets yesterday; all with the balls which were pitched in batsmen’s half, not banged short. The leg spinner Amit Mishra has been called back in the Indian test team for the 3-match test series against Sri Lanka that is starting next month. The success of the leggies on the Sri Lankan soil of late probably contributed to Mishra’s selection. The recall of a veteran like Mishra has however proved that there is not that much in the spin bowling stocks of India at present. Harbhajan Singh, another veteran, who had made his comeback in the one off test match against Bangladesh, retained his spot in the squad. There would be competition between Mishra and Harbhajan for the spot of the second spinner in the playing XI. Ravichandran Ashwin is by far India’s first choice spinner at the moment. So, his spot is more or less guaranteed. There might be a situation where all these three spinners can play together if Virat Kohli, the Indian captain, decides to play with a 5, 1, 5 combination with Wriddhiman Saha occupying the no. 6 slot in the batting order as the wicketkeeper batsman and then, Ashwin coming at 7 to be followed by the tail-enders. Shreyas Iyer is making his case stronger for the national team reckoning. The young batsman, who is a part of the Delhi Daredevils squad in this edition of the Indian Premier League, has been in great form in the tournament off late. Last year, Iyer had impressed people with his batting in the Ranji Trophy as well which is the first class domestic tournament in India. And, now he is showing his class in the shortest format. Iyer is not the most orthodox and stylish young batsman. He would not please the eyes of the purists of the game, but, he is very gutsy and that is the most important thing these days. You might not be very talented, but, if you have the dare and audacity to take on the best, you are more likely to achieve success. And Iyer is actually not someone with zero technique. He might not look that gracious while playing shots, but, his defence is quite sound.